Last Tuesday, UFC star Conor McGregor gave a statement on his Twitter account announcing his retirement. McGregor has been in the spotlight for many years for both his talents in the octagon (and the ring), but also for his incidents outside of the ring. For many this comes as a surprise since just hours before the announcement, McGregor appeared in an interview with late night host, Jimmy Fallon, where he revealed he was currently in discussions for his next fight. Although McGregor has already pulled this stunt before, many believe that McGregor may, in fact, be serious this time, given his recent encounters with the law. 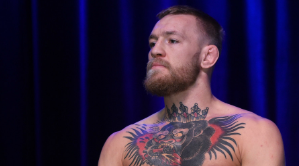 Last April, McGregor was charged with assault, attempted assault and criminal mischief after he and others allegedly attacked a bus carrying UFC fighters at the Barclays Center in Brooklyn. The incident left at least two athletes injured and unable to fight at the UFC 223 event two nights later. While McGregor’s reign only lasted for a few years, he is still widely thought of as one of the greatest fighters the UFC has ever had. He is still the only fighter in the UFC history to hold titles in two separate weight classes – featherweight and bantamweight. He also took place in the highest grossing boxing match in history against Floyd Mayweather, which he lost in the 10th round, but made it farther than most expected he would. Even though it’s still early on, many people are trying to predict what McGregor’s next move might be. Will he return just like he did in his 2016 scare? Is this truly the end of his career? Some have suggested McGregor to join the WWE just like former UFC champion, Ronda Rousey, did a few years ago after her retirement. Whatever decision McGregor decides to make, he will still continue to have an effect on MMA for years to come.